You know about Facebook, Twitter, LinkedIn, and Pinterest, but there are dozens of other social media platforms out there; isn’t it time you branched out? Depending on what you use social media for, there might be an even better site for your needs. Maybe you’re a small business owner with a niche appeal, and there just happens to be a social media site that’s a perfect fit. Social media apps that tout responsive design can connect you to your consumers more easily than ever. Ready to make the leap? 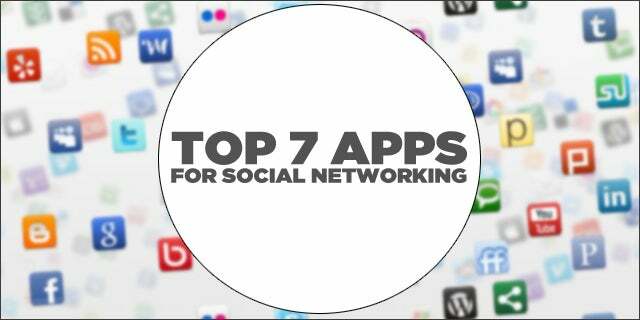 Here are six of the best apps for social networking, in no particular order. While you don’t want to overwhelm your smartphone with SM apps, adding a few key ones to the main screen can help you boost sales, make new friends, or break into a whole new community. 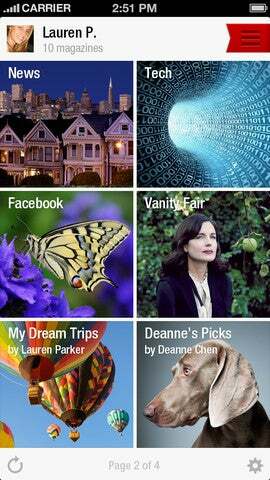 Flipboard isn’t actually a social media site, but an app that flawlessly combines all your favorite sites into one easy-to-view program. It looks like a magazine spread, and you can choose which of your SM platforms you want featured. There’s no more opening and closing apps just to see the latest photo or Tweet. You can do it all from this one easy app. TweetDeck designed for Mac is free, user-friendly, and has everything you need to stay Tweeted in while on the go. Upload photos, tweet with no effort, and pay nothing for this service — which is perhaps the biggest draw. It’s more than enough for most Tweeters. There are a few Facebook apps out there, but Messenger is what most people really need on the go. It’s kind of like WhatsApp because it lets you chat with your FB friends wherever you are. Floating “chat heads” make it easy to use and you can integrate SMS texting for seamless connections. Twitter and Facebook are the pillars of social media, and those two platforms are what HootSuite is all about. It also supports LinkedIn and Foursquare, but Twitter and Facebook are its primary focus. The iconic images and user-friendliness of this app make it a fan favorite. Do you have a slew of IM services that you use because your friends all have different favorite platforms? 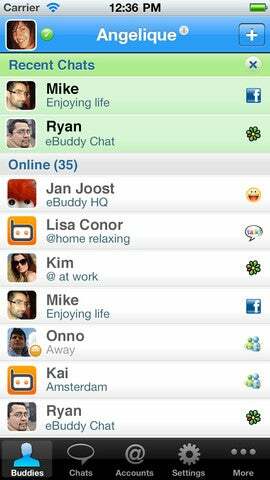 That’s not a problem with eBuddy, which combines all the popular chat options into one simple app. It keeps running in the background so you can do other stuff, whether checking your email or making calls. 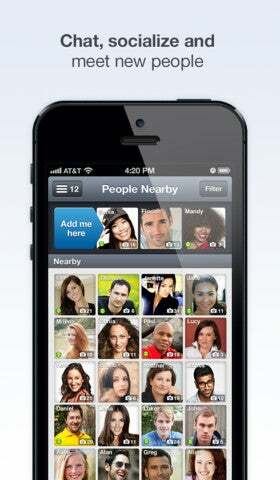 Badoo is part social media and part online dating service. It’s designed to take social media into real life by connecting you with people in your area. You can see if a friend is in the coffee shop down the street or look around for a potential love interest. This isn’t a dating app, but it can be used that way. No matter what app you use, the important thing is that you’re getting – and staying – connected. Using a service like FlashBind can help you turn your social media into a more serious business venture; or checking out a dating app can help combine your SM savvy with your desire to “get back out there.” Make social media, whether it’s an app or not, work for you. Guest author Drew Hendricks is a tech, social media and environmental addict. He’s written for many major publishers such as National Geographic and Technorati.